Heat the extra virgin coconut oil in a wok, or large frying pan over medium-high heat. Add the mushrooms and onion, and saute until they are about halfway done. 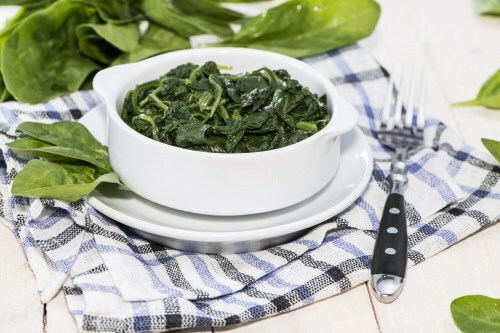 Dump in the spinach, and liberally sprinkle with garlic powder. Fry until the spinach has wilted, about 5 to 7 minutes.